Those of us who look forward to Electric Daisy Carnival (EDC) as the highlight of our festival season now have even more reason to count the days. The festival’s promoter, Insomniac Events, has just announced a full list of all the official EDC Week parties taking place at nightclubs and dayclubs throughout Las Vegas. 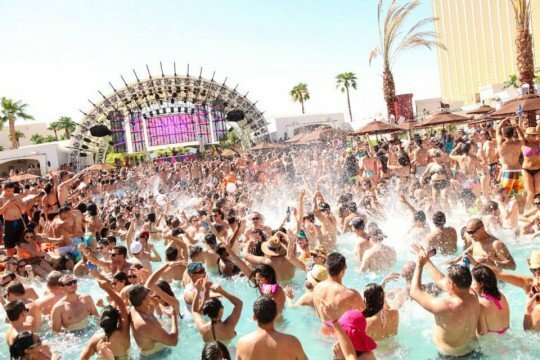 Similar to how the various parties comprising Miami Music Week take place during the week leading up to Ultra Music Festival, the city of Las Vegas transforms into a veritable electronic music mecca during the time that hundreds of thousands of revelers flock into the city. Among the more highly anticipated events are a Dreamstate night at TAO nightclub on the Thursday as well as a performance by Jauz at The Cosmopolitan of Las Vegas’ Marquee Dayclub. Of course, in total there are dozens of events taking place before, during and after Electric Daisy Carnival Las Vegas from June 13th-20th. Check out the full list below and stay tuned for lineup announcements for the festival itself.